Well, Euro did start a new descending movement. The bears have already broken the minimum and right now are moving towards the first target area (the level of 1.2920). If they break this area, the pair will continue falling down towards the second one (the level of 1.2840). 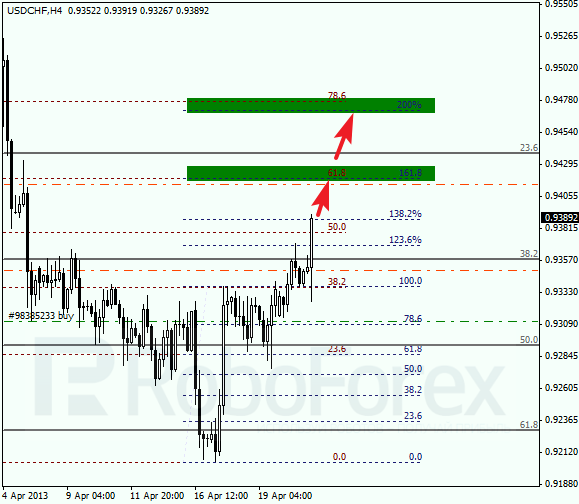 As we can see at the H1 chart, in the target area there are 4 fibo-levels, which are very close to each other. According to the analysis of temporary fibo-zones, the predicted targets may be reached during the day. Later these levels may become a starting point of a new correction. In case of Franc, the situation is opposite. The price is just several tens of pips away from the first target area. 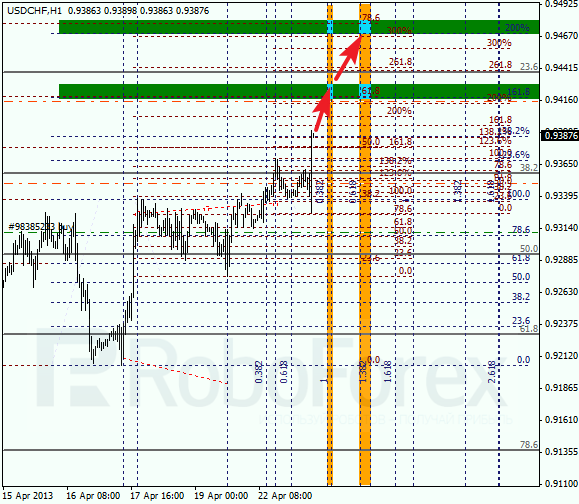 If the pair breaks these levels, the bulls will continue pushing the price towards the second one (the level of 0.9470). At the H1 chart, we can see several more fibo-levels near the predicted targets. According to the analysis of temporary fibo-zones, the market may reach target levels by the beginning of Wednesday.